Image Timeline Templates – These models can have photos from the past events attached. It also requires that you state the year of the event and write a brief description of the events. Timeline-arrow Templates – They have arrows which are progressive and convenient for illustrating a company’s growth over the years. Project Timeline Templates – They have step-by- step grids which are efficient for displaying a company’s past operations. Timeline-filmstrip Templates – Companies use these templates to attach videos of past events on them together with a short description. This is a model which can contain more than ten slides that have various data presentation figures such as pie charts and bar graphs. The template is large because it has a timeline template incorporated into it. It favors companies significantly because they can effectively make presentations to their clients. 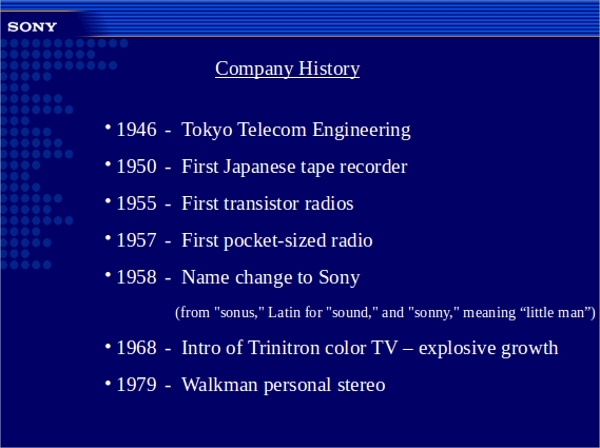 The first slide of this model usually contains the name of the company as the title. Then, the second one starts off the presentation by giving necessary introductions such as the names of the founders of the enterprise, when the company started, and how the company came to exist. The next templates should list what the company does and where it conducts its operations. Since the document can be quite large, you can also consider acquiring another model for writing a brief history. This type is usually short and concise. It has to have the company’s name as the heading followed by a subheading of their choosing. After that, it should state when the company was founded and give a short description of how or who founded it. Also, list the names of great employees who have worked for this company before and the dates they served the company. Then mention what the company does, how long it has been operational and the achievements it has made over its total operating period. Finally, name and describe the location of the business and perhaps its objectives. 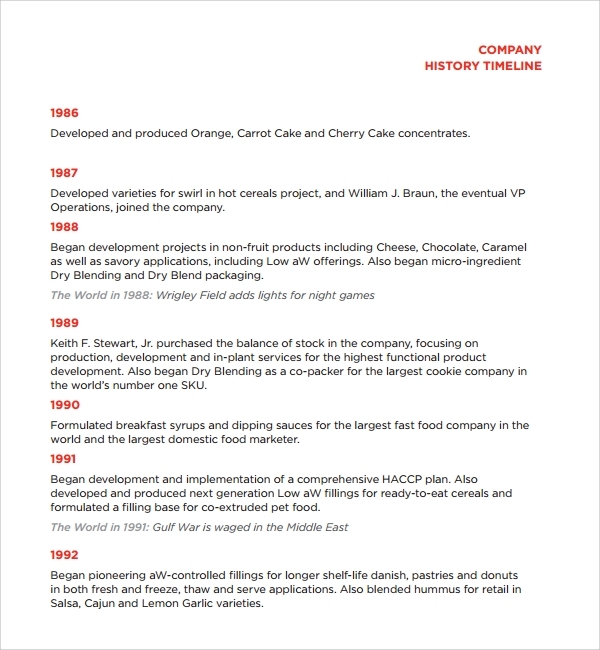 How Will a Company History Template Help Me in My Business? 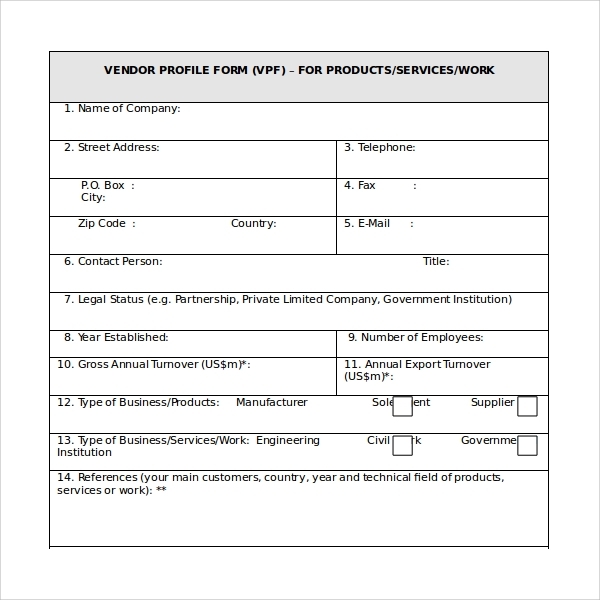 Is a Company History Template Similar to a Company Profile Template? You should know that there is a reasonable gap between a company’s history and its profile. One may say that it is likely that required information for the two appears similar though put into consideration the objective of both documents. 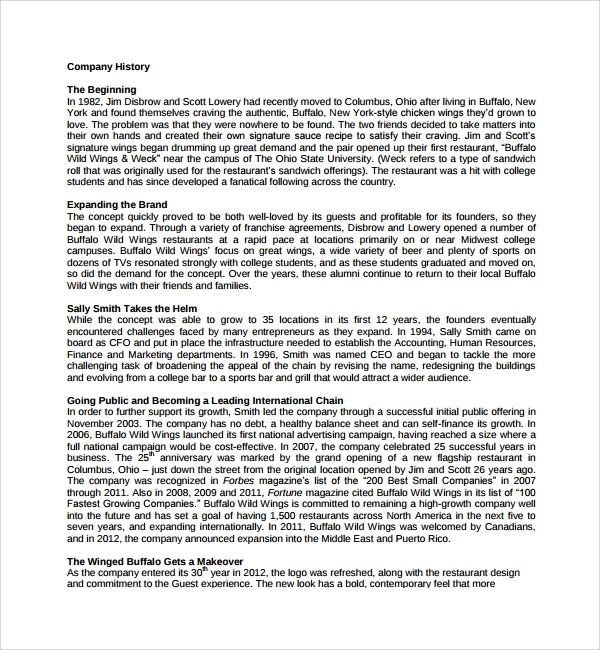 A history template focuses more on the birth of the enterprise while a profile model talks more about its current affairs. 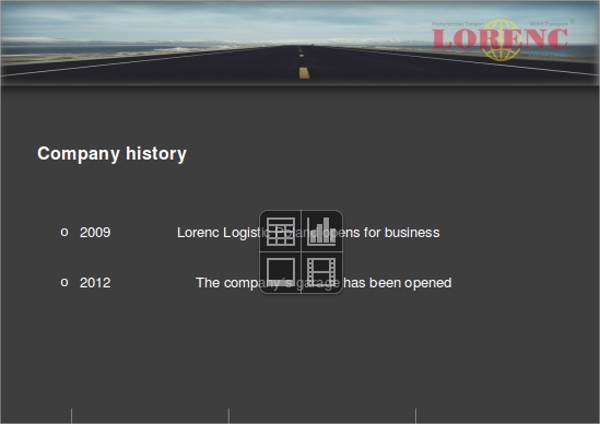 What is the Importance of a Company History Template? History is part of every company, and as the company continues to be in existent more history is being made. 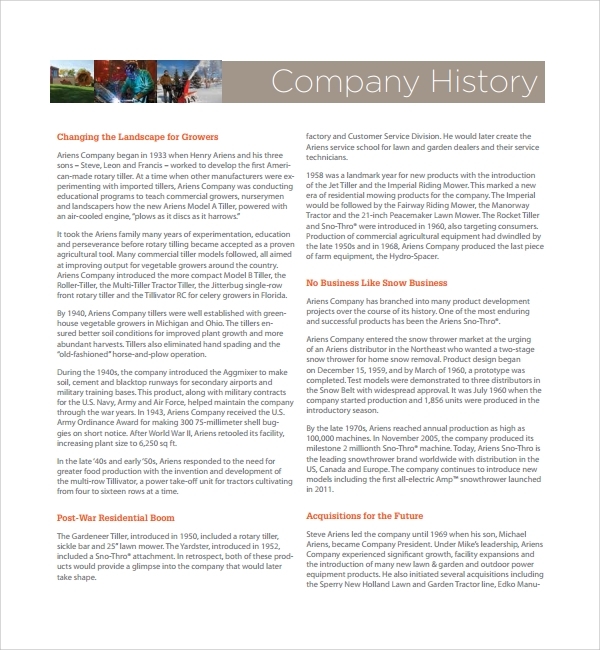 On that note; a company history templates is an ideal document to have for your company as it helps you keep information / roots about your company. This information can be used by people within that is the employees working currently on the organization to inform them more about the company. It can also be used as a marketing tool to the external world of investors and partners. 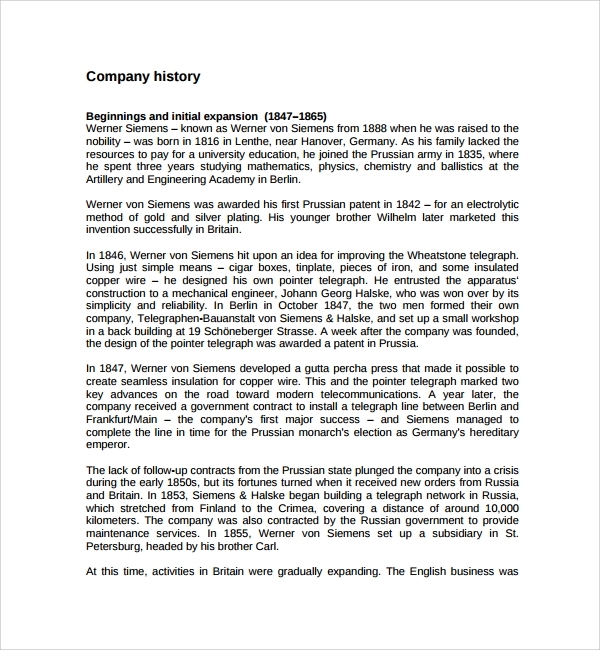 Hence company history document creates the image for your company. We design history templates to help you when putting content on your company’s website on the ‘about us’ page. Our models are efficient, affordable and readily available. 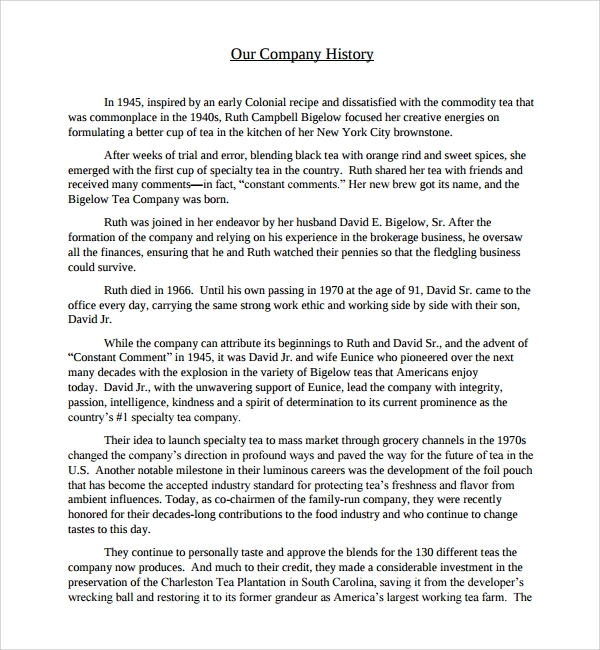 Color your business’s history today through our Company History Templates (for any custom modifications, feel free to contact us so that we hook you up with experts from our team).